Cat Toys - new and exciting - fun is guaranteed. 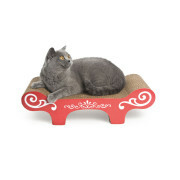 Extraordinary, special and exclusive cat toys for your velvet paw. 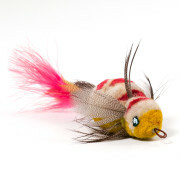 Many cat toys novelties gives guarantee that no boredom come up. Every cat is unique – we offer high-quality toys for every type of cat – big, small, young and older cats have different needs for the best cat toy for them. The Profeline Cat Toys collection offers a large selection of beautiful cat toys – by conviction sustainably produced in Germany and manufactured with great care of natural materials. All products are manufactured with great attention to detail. 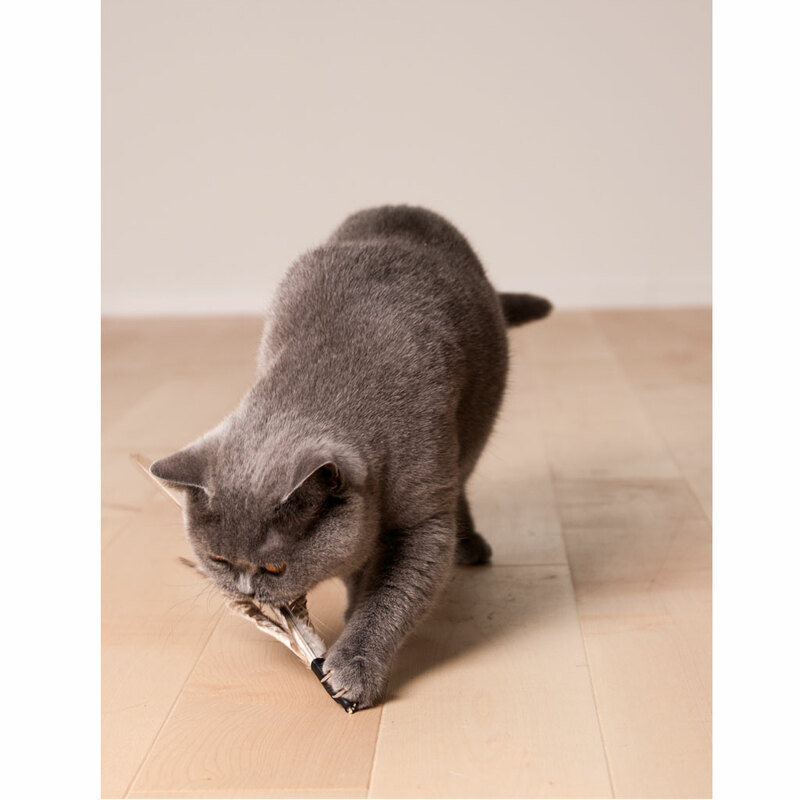 Cat toys made of natural materials such as feathers, leather, wood, pure organic cotton and real fur animate the hunting instinct and guarantee pure playing pleasure. Cat toys with a seductive scent of catnip and valerian are ideal for self-occupation and the favourite of many cats in flats – with them your cat can cuddle and tussle to his heart’s content. Take the test of our proven organic herbal mixture and your cat will surely be delighted. 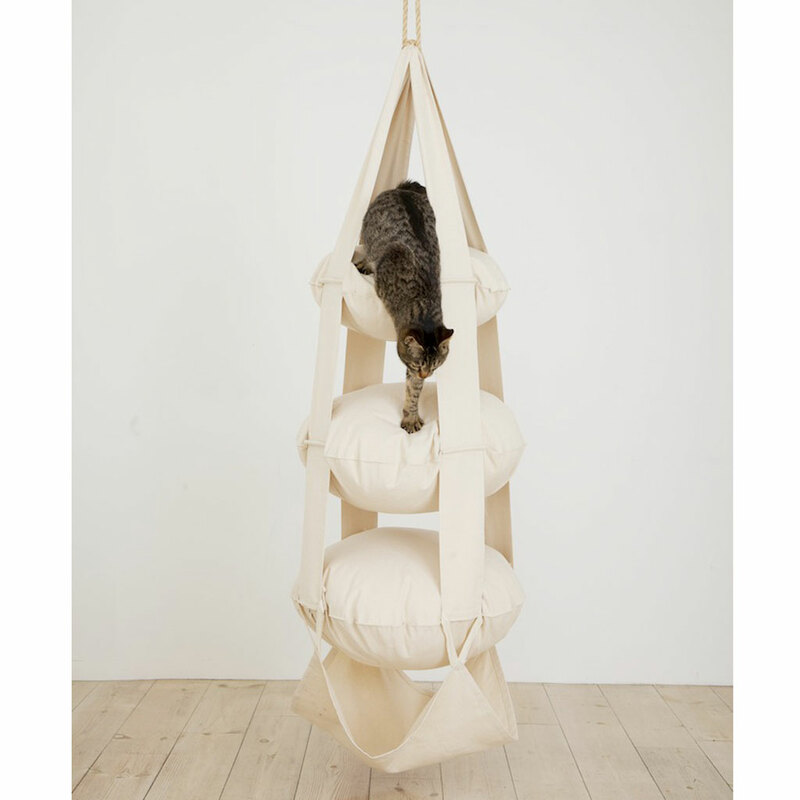 With Profeline you can be sure that you buy cat toys suitable for your cat – robust and stable. Natural shapes and discreet colours are a mirror of nature and so the cat-friendly design also pleases the human eye. For cats, daily playing, hunting and romping are an integral part of their everyday lives. Outdoor cats often find interesting play possibilities outside; in the case of flat cats, however, the cat owner is responsible for making daily play possible as a substitute for hunting in nature. Almost all the play behaviour of our cats is genetically anchored and based mainly on their hunting instinct. So it is not surprising that cats like to play until they are very old, it may be a little less exuberant in old age – but playing itself is still part of the daily program. Playing also means a mental challenge, who plays daily with his cat keeps it physically and mentally fit! 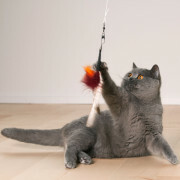 Cat toys are an absolute “must have” for every cat owner – and here it plays no role whether it concerns a outdoor cat or a pure apartment cat. Cat toys bring variety and entertainment into the life of your cat – playing keeps cats of all ages physically fit and sharpens the senses. Our cats are quite demanding when it comes to choosing the best cat toy for them. They don’t want to play with the same cat toy every day and each cat has its own preferences. So it is not surprising that every cat reacts to different stimuli, one likes feathers, the other ribbons, the next stands on toys with catnip. Every cat is unique and we as cat owners have the challenge to find out what our kitten likes. Our tip: cats love variety! Who shares his life with velvet paws needs regularly new cat toys around to keep kitty well and meaningfully busy. As with children, cats often lose interest in their usual toys and hardly pay any attention to them. Therefore they clear away cat toys from time to time and offer your cat new toys – if you then after some time the “old” toy again bring forward the interest is guaranteed again large – so the cat toys are discovered again and again and remain for a long time exciting. As a general rule, a cat can never have enough toys. Playing must be learned, preferably from a young age and at fixed times. You will notice that your cat will remind you of the game loudly, so that you will certainly not forget this “date”. So cats and cat owners benefit in many ways from the game. 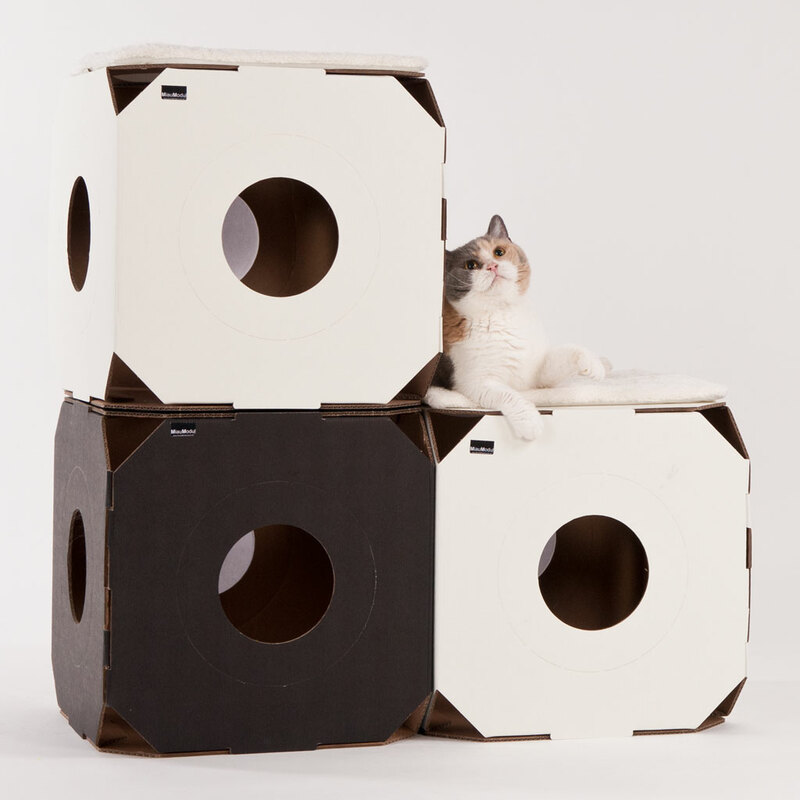 Home-cats spend their lives in the house, and therefore need variety and fixed game units. Cozy house cats often suffer under weight problems – and also the cardiovascular system is often not trained. Regular playing is perfect to entertain and exercise your cat over a longer period of time. Just like people, cats can be bored, stressed or sad. Regular play is a good way to avoid depression and boredom. In addition, regular playing hours can reduce aggressiveness and behavioural abnormalities in affected cats. Playing together strengthens the emotional bond between cat and human being. You will see, if you spend time with your cat and play with it, the trust and the bond becomes even stronger. Playing together also reduces signs of stress and tension in humans, so humans also benefit from the time you spend together. Try to set up the daily time to play with your cat – because cats love rituals. In this way you not only create a strong emotional bond between you and your velvet paw, but kitty also remains physically and mentally fit – and feels good all around. Our large selection of cat-friendly toys ensures that it never gets boring. 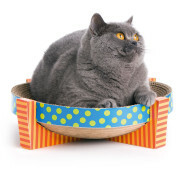 Browse through our extensive product range of cat toys that are fascinating for cats and humans – the right toy for your favourite is guaranteed. With Profeline cat dreams come true!